EMS One Katowice was a pretty big competition, pitting Counter-Strike: Global Offensive teams against each other in one of the largest eSports tournaments at the time. But that was back in March, and ESL One Cologne recently broke records for Counter-Strike viewership, outdoing Katowice by almost 160 percent. Viewership, both in-game and through Twitch, reached a whopping 409,369 people, all watching world-class teams compete for the $250,000 prize pool. On Twitch itself, concurrent users peaked at 343,639, making it the most watched thing on the platform for most of the duration of the competition. In four days, 856 years of content was watched. 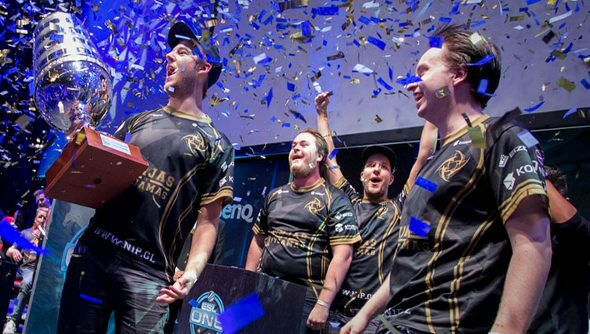 Ninjas in Pyjamas took home the absurdly large trophy and a fair chunk of cash. During the playoffs, NiP took on Cloud9 and LDLC before facing Fnatic in the final. The best of three saw NiP win 2 to 1. Both Fnatic and NiP were invited to the competition after placing in the top eight during Katowice. Did any of you lovely lot tune in?